So since you know today is Friday the 13th, quite hyped and much feared, I thought to post today about this belief/superstition. I won't call it a superstition because it is so many people's belief that I won't like to hurt anyone. 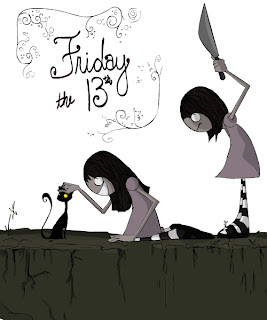 This phobia is called as friggatriskaidekaphobia (Frigga being the name of the Norse goddess for whom "Friday" is named in English and triskaidekaphobia meaning fear of the number thirteen), or paraskevidekatriaphobia a concatenation of the Greek words Paraskeví (Παρασκευή, meaning "Friday"), and dekatreís (δεκατρείς, meaning "thirteen") attached to phobía (φοβία, from phóbos, φόβος, meaning "fear"). In Spanish-speaking countries, instead of Friday, Tuesday the 13th (martes trece) is considered a day of bad luck. The Greeks also consider Tuesday (and especially the 13th) an unlucky day. Tuesday is considered dominated by the influence of Ares, the god of war. A connection can be seen in the etymology of the name in some European languages (Mardi in French or martes in Spanish). The fall of Constantinople to the Fourth Crusade occurred on Tuesday, April 13, 1204 and the Fall of Constantinople to the Ottomans happened on Tuesday, May 29, 1453, events that strengthen the superstition about Tuesday. 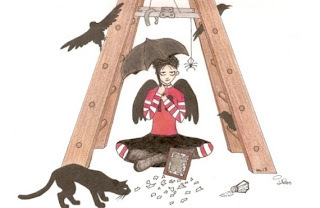 In addition, in Greek the name of the day is Triti (Τρίτη) meaning literally the third (day of the week), adding weight to the superstition, since bad luck is said to "come in threes". 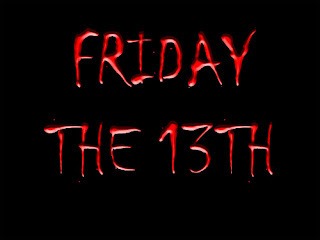 In Italian popular culture, Friday the 17th (and not the 13th) is considered a day of bad luck. In fact, in Italy, 13 is generally considered a lucky number. 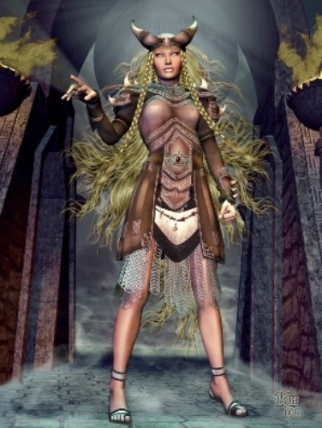 However, due to Anglo-Saxon influence, young people consider Friday the 13th unlucky as well. I have collected an excerpt from some good articles about this day. You can check the original articles by clicking the read more button. The current format of this post will now be adopted fro future Fromrum Fridays featuring such decorated divs separating different articles. I will try to share best articles I read during the week on Fridays in this layout. I hope you all enjoy! In numerology, the number twelve is considered the number of completeness, as reflected in the twelve months of the year, twelve hours of the clock, twelve gods of Olympus, twelve tribes of Israel, twelve Apostles of Jesus, the 12 successors of Muhammad in Shia Islam, twelve signs of the Zodiac, etc., whereas the number thirteen was considered irregular, transgressing this completeness. 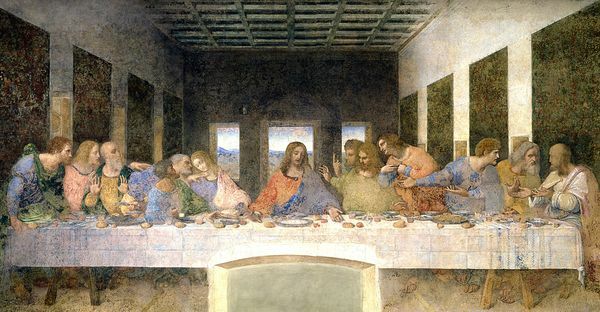 There is also a superstition, thought by some to derive from the Last Supper or a Norse myth, that having thirteen people seated at a table results in the death of one of the diners. Friday is also the day when Jesus Christ was crucified, making it through folklore and adding to its unpopularity. One author, noting that references are all but nonexistent before 1907 but frequently seen thereafter, has argued that its popularity derives from the publication that year of Thomas W. Lawson's popular novel Friday, the Thirteenth, in which an unscrupulous broker takes advantage of the superstition to create a Wall Street panic on a Friday the 13th. Records of the superstition are rarely found before the 20th century, when it became extremely common. The connection between the Friday the 13th superstition and the Knights Templar was popularized in Dan Brown's 2003 novel The Da Vinci Code and in John J. Robinson's 1989 work Born in Blood: The Lost Secrets of Freemasonry. On Friday, 13 October 1307, hundreds of the Knights Templar were arrested in France, an action apparently motivated financially and undertaken by the efficient royal bureaucracy to increase the prestige of the crown. Philip IV was the force behind this ruthless move, but it has also tarnished the historical reputation of Clement V. From the very day of Clement V's coronation, the king falsely charged the Templars with heresy, immorality and abuses, and the scruples of the Pope were compromised by a growing sense that the burgeoning French State might not wait for the Church, but would proceed independently. However, experts agree that this is a relatively recent correlation, and most likely a modern-day invention. Genuine paraskevidekatriaphobics, triskaidekaphobics or friggatriskaidekaphobics are perhaps rare these days, possibly because of the spelling challenges, but one of the most popular, or unpopular, superstitions endures in a time we like to think of as more logical and rational than were the intellectually darker eras in which they were created. And while they've been walking around ladders and dodging black cats, the superstitious may have stumbled on some truth to the matter. "It has been quite a joke among the pilots," said Juha-Pekka Keidasto, who will fly the Airbus A320 from Copenhagen to Helsinki. "I'm not a superstitious man. It's only a coincidence for me." Why Does Friday the 13th Scare Us So Much? "If nobody bothered to teach us about these negative taboo superstitions like Friday the 13th, we might in fact all be better off," said Stuart Vyse, a professor of psychology at Connecticut College in New London. 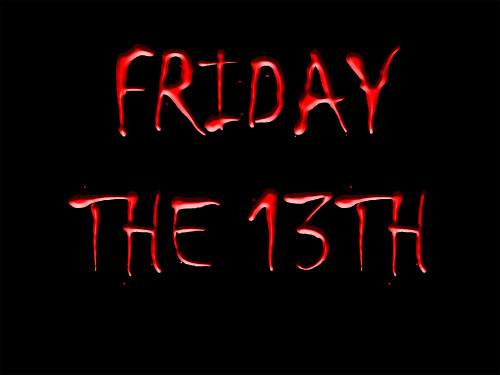 People who harbor a Friday the 13th superstition might have triskaidekaphobia, or fear of the number 13, and often pass on their belief to their children, he noted. Popular culture's obsession with the fear-think the Friday the 13th horror films and even this story-helps keep it alive, added Vyse, the author of Believing in Magic: The Psychology of Superstition.